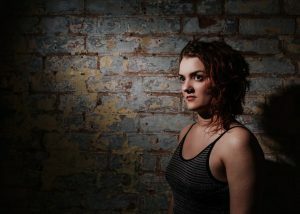 Hannah James has emerged as one of the most imaginative and adventurous artists on the folk scene. First coming to national attention as accordion player and singer with the band Kerfuffle, she was in an acclaimed duo with Bellowhead’s Sam Sweeney, is a member of female vocal harmony trio Lady Maisery, and has worked with folk legend Maddy Prior. Clog dancer, accordionist and singer.